I recently made my first sheet cake–very exciting! 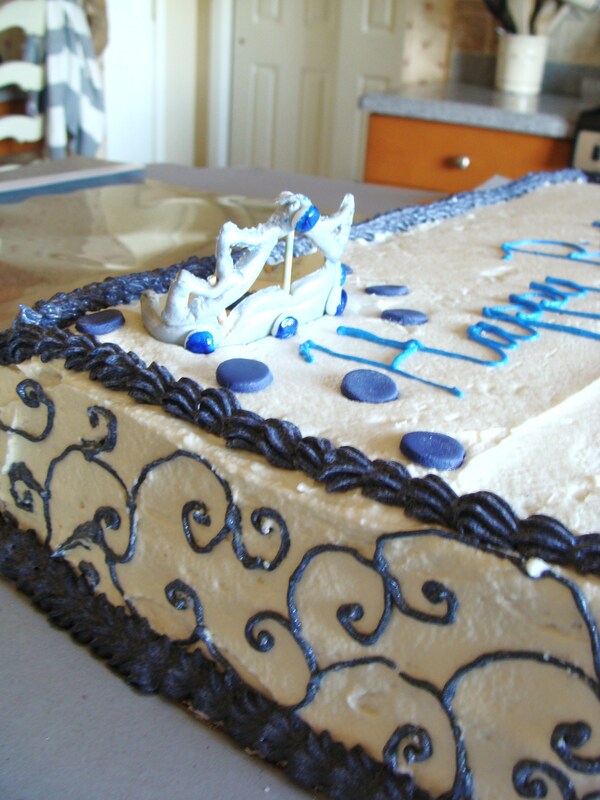 The cake was for a joint birthday party for my high school friend Alyssa and her boyfriend Tom. 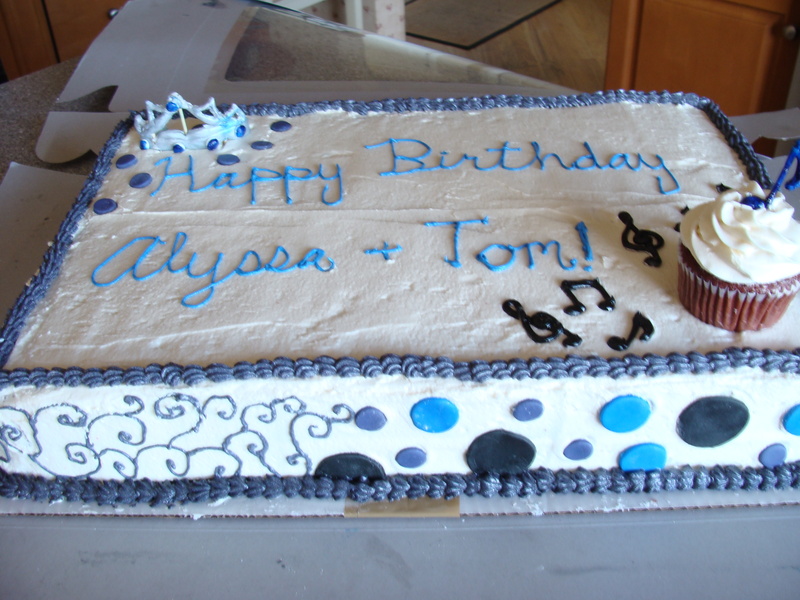 The concept was to have one side represent Alyssa and one side represent Tom, but to have the two sides come together as one cake. I think you can figure out for yourselves whose was whose. I had never made a sheet cake before. It wasn’t much harder than a small cake, but, boy, was that thing huge. I think I had to multiply the recipe times six. It was a LOT of cake. Speaking of cake, you might want to know what was in this thing, huh? The cake was red velvet. 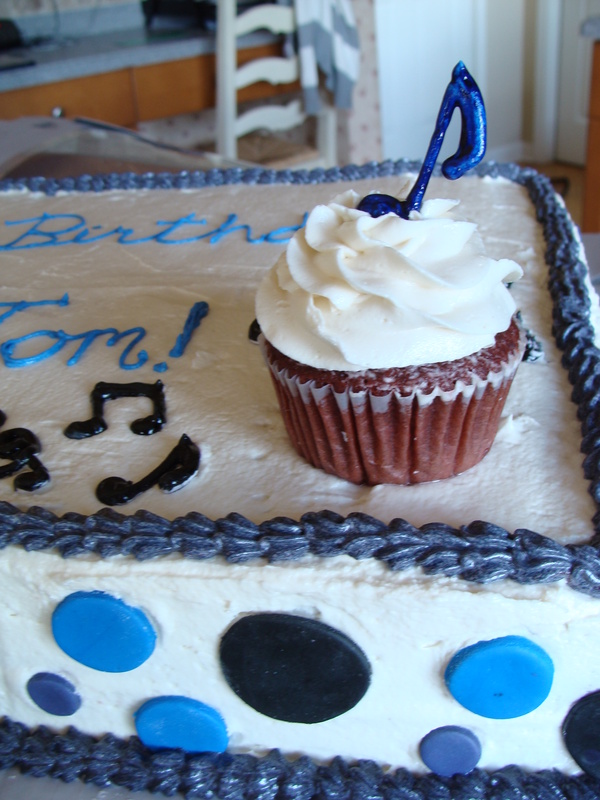 It was filled with chocolate ganache and frosted in buttercream with fondant accents. I was pretty happy with the way it came out (as, I hope, were they!) and it was an overall good experience. Happy 30th Reunion Cliffside Park High School!